For those of you who don’t know, I am the owner of Art Printer. I worked at Art Printer for several years before I purchased it from Adam Redner in 2014. I was only 27-years-old with a BA in Photography, so the business-owner side of things has been a bit of a learning curve for me to say the least. It’s been four years now and I’m happy to say Art Printer is going strong! I’ve managed to keep this place going and growing, along with cultivating an amazing team. As of this year I have THREE wonderful full-time employees! I couldn’t have done this without you. Every single one of you. To those clients that have been around since before the transition, thank you for your patience. I know things have changed slightly as we created a proper protocol, and I appreciate your faith in me while we got things in order. I feel like I’m finally getting a grip on things, and I’m excited to expand what we offer for our clients while keeping the amazing quality and fast turnaround time. What I’m trying to say is: thank you all for choosing Art Printer. Your patronage of my very small business supports the livelihood of this four-person team, and we appreciate it more than you can imagine. 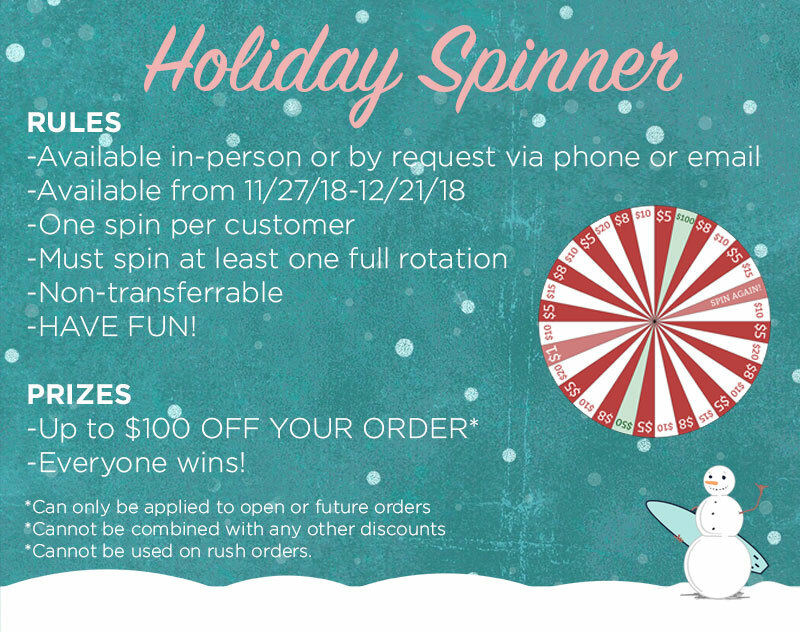 Please enjoy our Holiday Spinner– a small token of our thanks. We hope you have a fantastic holiday and a happy New Year!